Summer is a season we all look forward to. With it comes the time to enjoy the company of family and friends in the sunshine. Summer is when the kids are out of school and vacations are planned. It’s the perfect season for weddings, barbeques, the beach, and any other activities that include getting out and enjoying nature. Though summer does bring with it the opportunity to soak up some vitamin D, it can also be a bit hot. Nothing says summer like a good, refreshing cocktail. Below we share some yummy recipes for cocktails with a very distinctive characteristic. Because nothing says fun in the sun like a pink party summer cocktail. Sangria is a traditional drink from Spain and Portugal that is popular among cultures everywhere. And for good reason. 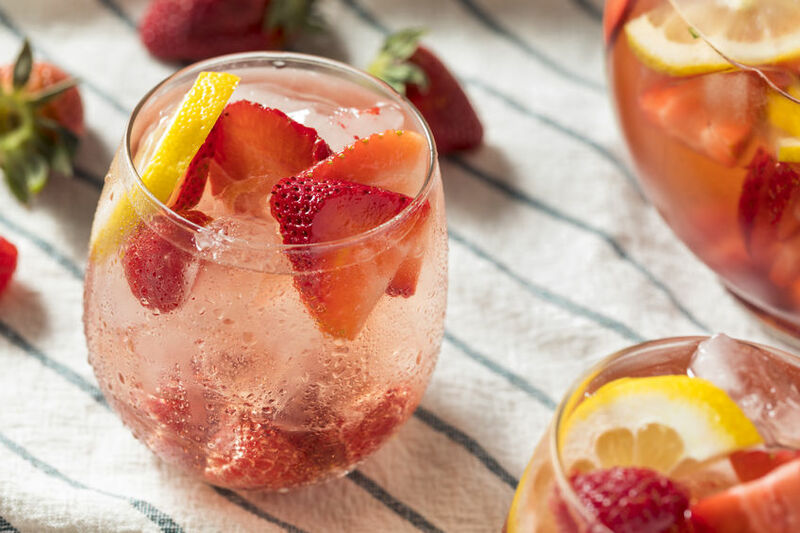 This recipe gives the Sangria a hint of sophistication. The recipe is adapted from the Party Rental LTD. Blog. First, take a large pitcher and combine the strawberries, orange, and lemon slices. Use the end of a wooden spoon to muddle the fruit a bit. Next, in a small glass combine the brandy and the simple syrup. Take this mixture and pour this along with the bottle of rosé over the fruit. Chill for at least an hour, or longer if you have it. Stir in the sparkling water just before serving. Spoon some of the fruit into glasses, pour in the liquid, garnish with the lemon verbena sprigs, and serve. Having a barbeque? It’s time to break out the beer. But you can’t have just any old beer. Spice up your beer go to with this recipe adapted from My Recipes. First, take a large pitcher and stir together the frozen raspberries, bottles of beer, frozen raspberry lemonade concentrate, and vodka. Next, take a cup and fill it with some ice. Finally, take the mixture and pour it into the cups. Top it off with the lemon and lime slices as a garnish, if desired. If you don’t have frozen raspberries, fresh raspberries also work well as a substitute. If you want to make this for a gathering or party and are thinking of making this ahead, stir together the lemonade concentrate and vodka in a large container. You can chill this for up to 3 days. Stir in the raspberries and the beer just before serving. Don’t forget the garnish! No recipe list of summer cocktails would be complete without the Mojito. 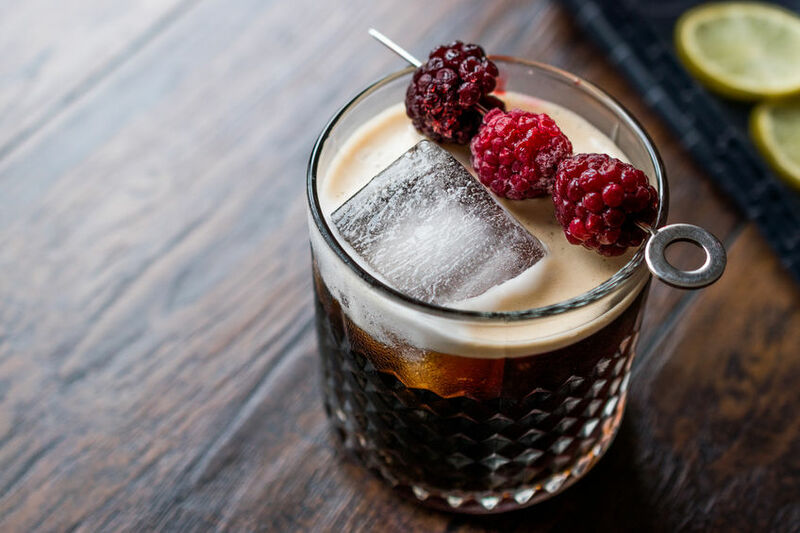 A classic beverage with a fruity twist, this cocktail will have you asking for seconds. This recipe was adapted from My Recipes. Muddle 2 strawberries, 2 lime wedges, and 2 tablespoons mint in each of 2 glasses. Fill each glass with ice and stir in 2 tablespoons each Strawberry Syrup and rum. Top with sparkling water and viola! You’ve now got yourself a pink, quick, and easy strawberry mojito. Three recipes for some fun, pink summer cocktails. These will surely be a hit with your family and friends on your next summer party or big summer event. They’ll leave longing for the next summer fest. Don’t say we didn’t warn you!